Wondering what I’m doing this summer? Here’s the story behind one project. It all started in April, when I took a crash course in pitching an agent. I had registered for Books Alive! 2016, presented by the Washington Independent Review of Books. It’s a local conference with workshops, speakers, a book fair, and book signings. It also features the coveted Agent Speed Pitches. I figured I would brush off a journalism fellowship proposal, make it into a book proposal, and convince an agent to love it in five minutes or less. Soon, I’d be on my way to a book deal. It turns out I went about it all wrong. It’s not hard to do what I did. To practice how not to pitch an agent, follow the simple steps below. Write a good query letter instead. While working, sing a little song about how the kindly agent will adore your query, swoop in, and help you write that pesky proposal. Do not use a single sentence from your query letter. Instead, turn what was once a book proposal and then became a query letter into a three-minute pitch. Practice the pitch on nonfiction writers, novelists, and your cat. At least one out of three will give constructive feedback. Treat the other two to a rendition of that song about your guardian agent. At 6:45 am on the day of the pitch sessions, as the Uber waits downstairs, decide to print your query letter after all. Clutch the letter close throughout the morning. Use the pitch on agents — the ones assigned to you for speed-pitch sessions as well as the one who magically asks you about your book while you sit around the lunch table. That last one will listen intently until you must both stop for the keynote by Bob Woodward. Note the questions the agents ask and suggestions they make about structure. Note also how said questions and suggestions are not at all consistent. Note also how, though the agents are all wonderful people, not one extended a cloud-soft wing to envelope you. Rejoice that several agents asked to see either a sample chapter or full book proposal. Realize this is better than a guardian agent. Also understand that you must produce a book proposal. Attempt to write a book proposal. Take more than six days to do it. So there you have it. The Book Proposal (incorrect capitalization for Emphasis) is one of my projects. I look forward to posting updates. *Why inadequate? Thanks to author friends Michael Chorost and Fran Hawthorne (plus online searching), I learned that a nonfiction book proposal comprises some 50 to 60 pages of details. It covers the content, author, and market. Sample chapters also go in there. As you can imagine, a normal human can’t do this overnight. If you’re interested in more information, here’s a great guide from Zimmerman Literary. 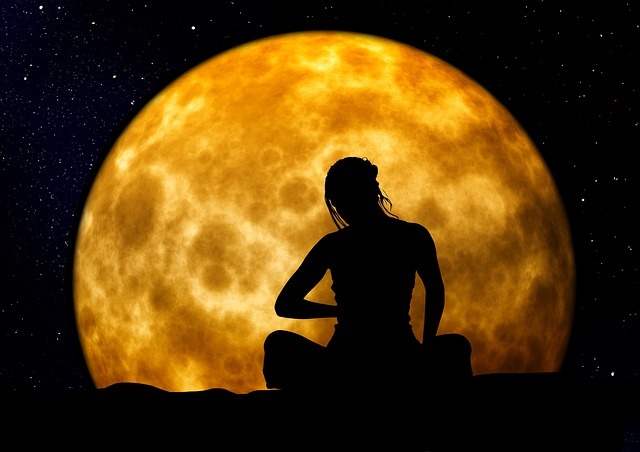 When I learned that Jeff Bridges released a book on Zen and mindfulness last year, I didn’t exactly fall off my meditation pillow (as the NY Times review explained, the book was what you’d expect). The actor who played the unemployed, roach-smoking Dude in the ’90s cult hit The Big Lebowski makes the perfect guru for the chill life. But high-octane achievers like Russell Simmons and Arianna Huffington? Their books made me stand up and take notice. I know–I’m confused about why they came out with these books, too. Let’s poke at this. 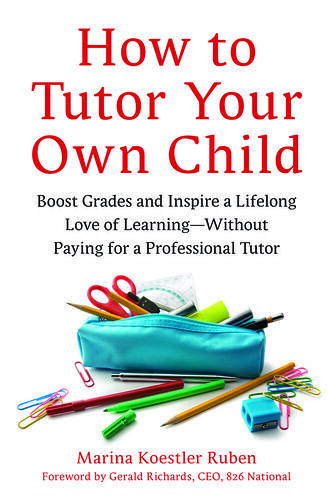 My friend Marina just published her first book, How to Tutor Your Own Child: Boost Grades and Inspire a Lifelong Love of Learning, on August 2. I had the honor of following Marina’s progress through the writing, editing, and publication process. I may have even suggested a subtitle or two. I look forward to seeing the culmination of that journey at the book launch later today. Spoon Bread and Strawberry Wine*. From Okra to Greens**. Many great pieces of theatre or poetry start with two random foods. My latest recipe for MyJewishLearning.com tries a little of that melding. 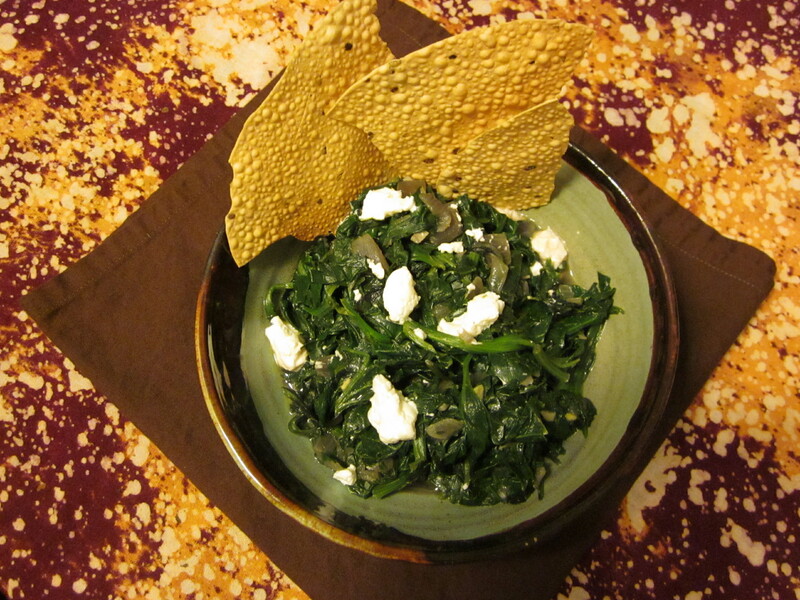 The dish combines pungent, earthy goat cheese with spicy greens. And though it’s dinner, not literature, it does come with a couple of stories. Read all about it. *A 1994 book of “recipes and reminiscences” by Norma Jean Darden and Carole Darden, which I saw off Broadway as a young’un. ** A work of drama/poetry by Ntozake Shange that is lesser known than For Colored Girls Who Have Considered Suicide/When the Rainbow is Enuf, but worth checking out. To usher in 2010, Grist has published a look at the best food books of this closing year. Or at least what people were reading this year. This list brings together my two great loves: literature and food. The recommendations come from the greatest sustainable food minds of our time–including my pal and one-time article source Daniel Bowman Simon (of The People’s Garden in NYC). What are you reading about food?